What just happened? 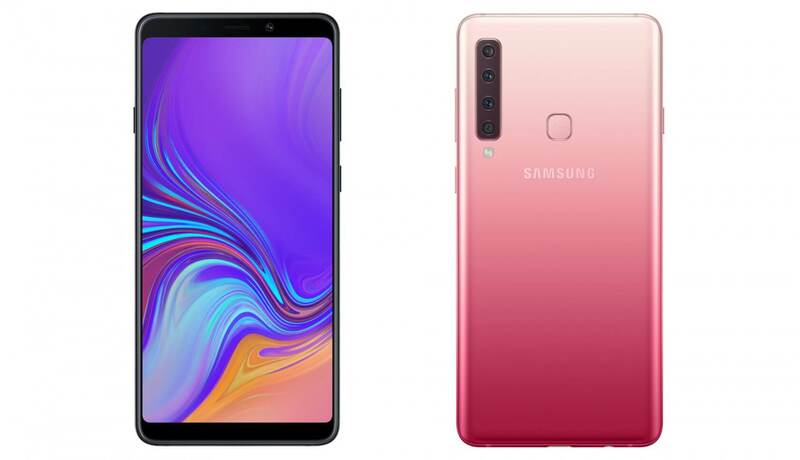 Samsung today announced the latest addition to its A-series smartphone lineup: a mid-range device dubbed the Galaxy A9. Though the A9's release date is still elusive, we know it will have four cameras, a 6.3" display, 6GB of RAM, and a Snapdragon 660 processor - all for around £550 ($725). Yesterday, we reported on a leak for an upcoming Samsung device called the "A9 Star Pro." The leak contained images and hardware information about the device, suggesting it would be a mid-range smartphone with a whopping four cameras. While leakers seem to have got the name of the smartphone wrong -- it's just called the Galaxy A9 -- Samsung officially announced the device today, and the company has confirmed many of the rumors. Perhaps most importantly, the A9 does indeed contain four cameras, each serving a slightly different purpose. Camera number one is a 24mpx "main camera," camera two is actually a 5mpx depth sensor, the third camera is a 10mpx "telephoto" camera with upgraded optical zoom, and the final camera has an ultrawide, 120-degree lens. From a hardware perspective, as we noted on Wednesday, there's nothing particularly special here. The A9 has a Snapdragon 660 processor, 6GB of RAM, 128GB of base storage, and a 6.3" "Super AMOLED" display. Battery capacity information wasn't included in yesterday's leaks, but Samsung claims the A9 will ship with a 3,800mAh battery. Unfortunately for tech enthusiasts, the A9 will not feature wireless charging. As you can probably tell, none of these specs (barring, perhaps, the RAM) are all that exciting, and for around £549 ($725), you might expect a bit more. However, the A9 is certainly cheaper than other flagship offerings from Samsung and Apple (such as the iPhone XS Max), so it may just be worth a buy for some users. If you're one of those users, you won't be able to get your hands on the A9 just yet; Samsung says the device will launch sometime in mid-November, but it's not clear where. Some outlets have claimed the A9 will be UK-only at first, but Samsung itself merely says their new phone will be available in "selected markets." We can probably expect to learn more about the device's availability in the coming weeks.